The president of one of Western New York's leading Catholic universities is calling on Buffalo's bishop to resign. BUFFALO, N.Y. (WKBW) — The president of one of Western New York's leading Catholic universities is calling on Buffalo's bishop to resign. St. Bonaventure University President Dennis R. DePerro said Bishop Richard J. Malone needs to step aside so the Diocese of Buffalo can begin to heal after a year of constant scandals relating to the handling of sexual abuse. "We are not healing," DePerro said in an interview with 7 Eyewitness News. "We are not restoring trust. And we are not moving forward in a way that’s positive for our church." He said a 7 Eyewitness News I-Team investigative story revealing that Malone has been concealing the identities of 25 priests accused of sexual misconduct or abuse is yet another blow in the diocese's credibility under Malone's leadership. "No organization in today’s world -- including the Catholic Church -- is exempt from accountability," DePerro said. "I believe that a good leader would recognize that moment and step down." Given the revelations of the I-Team story -- as well as other I-Team reports that sparked state and federal investigations of the diocese -- DePerro said the entire Catholic community has been unable to recover a sense of trust and chart a path forward relating to the handling of sexual abuse in the church. Allegations against two Franciscan Friars -- Fr. Gervase White and Fr. Cairnan Haggerty -- were revealed Wednesday in diocesan documents obtained by the I-Team, and Holy Name Province has opened investigations into the allegations. Last year, the diocese included deceased Franciscan Fr. Maurice Scheier on its list of clergy with substantiated abuse allegations, even though there were doubts about whether Scheier was misidentified . The diocese has not cleared up the discrepancy, officials said. 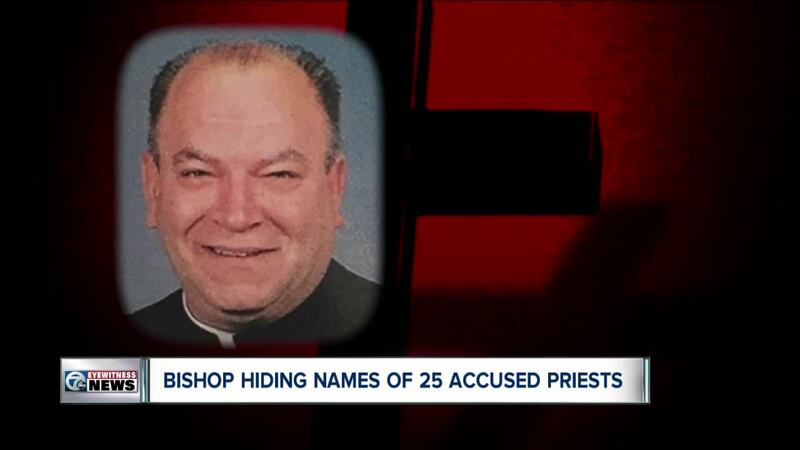 "With the disclosure of this list and the number of things that continue to come out, that the diocese has not been transparent with the public, I believe that moment has come," DePerro said. "I know the bishop had come forward with a period of prayer and healing, but those things do not seem to be working as this continues to unfold." Buffalo Diocese spokeswoman Kathy Spangler did not immediately respond to a request for comment.